Have you ever met some problems when wearing cosplay wigs? Today L-email wig store will talk about how to wear cosplay wigs. 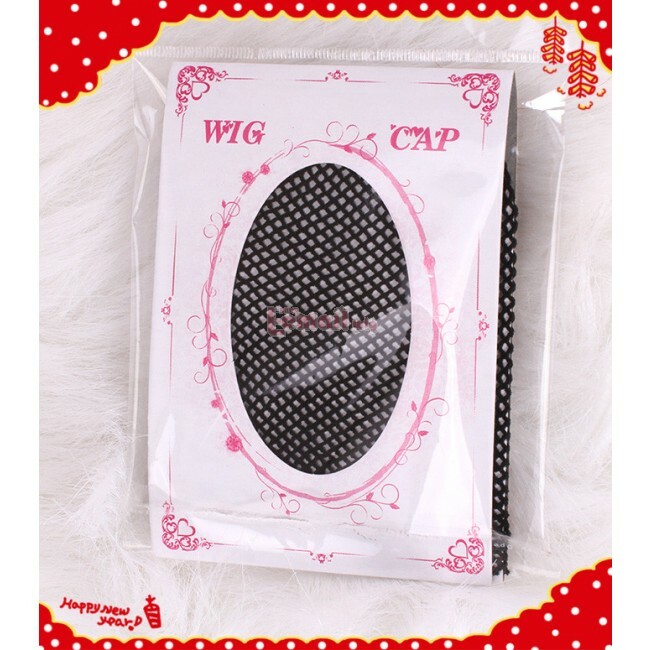 In general, you need following items to wear a cosplay wig: wig cap, hairpin. Many people don’t like to use the wig cap. Actually, wig cap is very helpful for wearing cosplay wigs. A good wig cap help you hair from falling out from the wig. It also helps keep your wig on, prevent wig slippery. 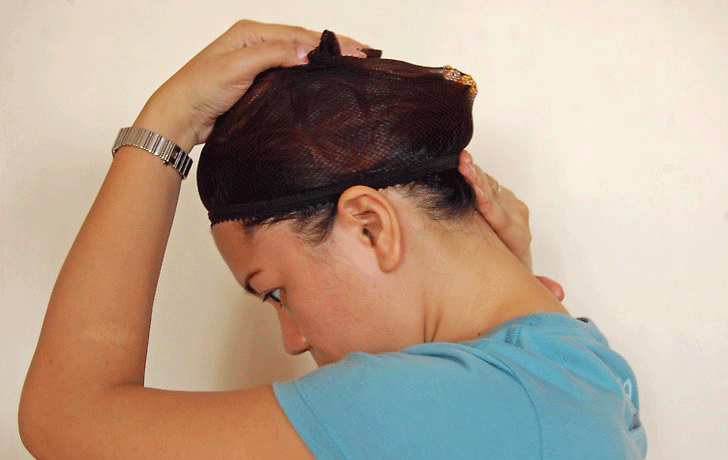 Three simple steps to wear a wig cap. If your hair is quite long, twist it into a ponytail and at the nape of your neck and then flip that ponytail. 2.Pull your wig cap on, Start from the back of your head if you have a lot of hair in a ponytail. 3.Stuff as much of your hair as possible down toward the back of your neck, making sure it’s still contained by the wig cap. After putting on the wig cap, you can start to wear your cosplay wigs. 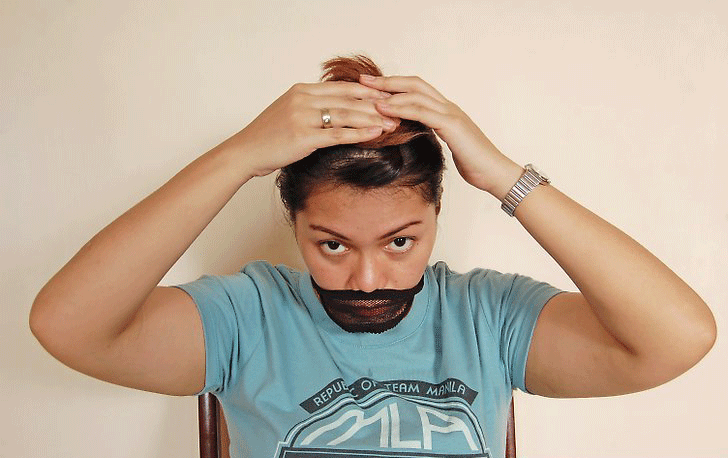 Slowly stretch the back and sides of your wig down over your wig cap. Tug the back of the wig down until the front of it sits just below your natural hairline. After doing these steps, just use hairpins to through the wig, the wig cap and into your hair below. Last step, fix up the style of your wig until you feel good about how it looks. Have you got the right steps to wear cosplay wigs? There are many kinds of cosplay wigs for your choice in L-email wig. From hottest game League of Legends, Nier Automata to anime Yuri on Ice, Love live and so on. Besides cosplay wigs, we also provide quality women lace wigs, fashion wigs, human hairpiece. Just come to L-email wig store get your favorite wigs with discounts. This entry was posted in Buy Cosplay Wigs, Wigs and tagged anime cosplay wig, anime wigs, best cosplay wigs, cheap cosplay wigs, cosplay wig, L-email wigs.